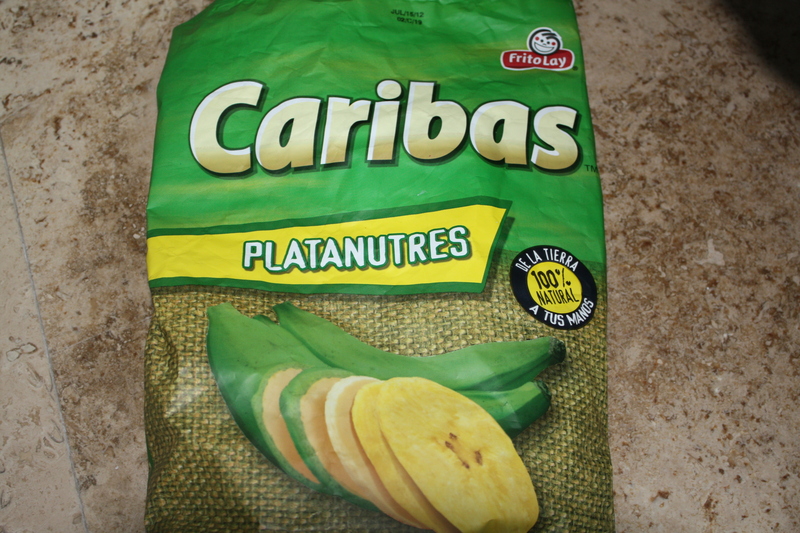 We had to enjoy some Frito Lay Caribas Plantanutures chips. They were super crispy, think and nicely seasoned. 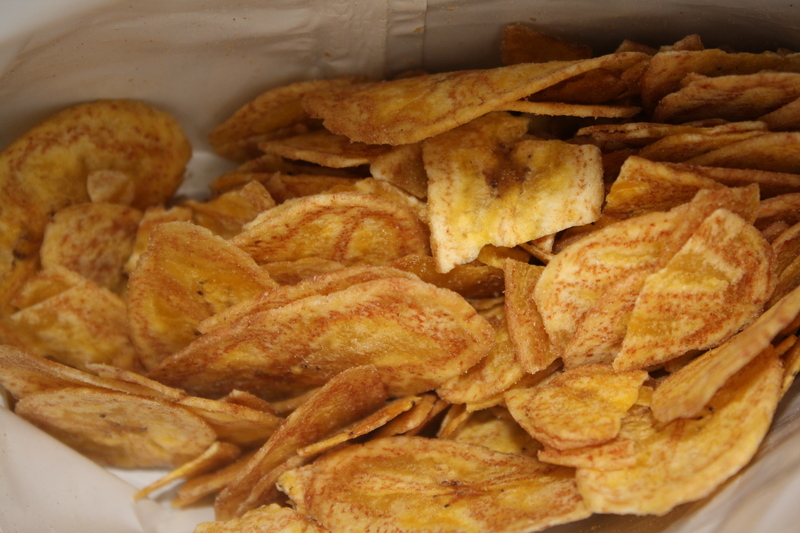 It was hard to stop eating the plantain chips. 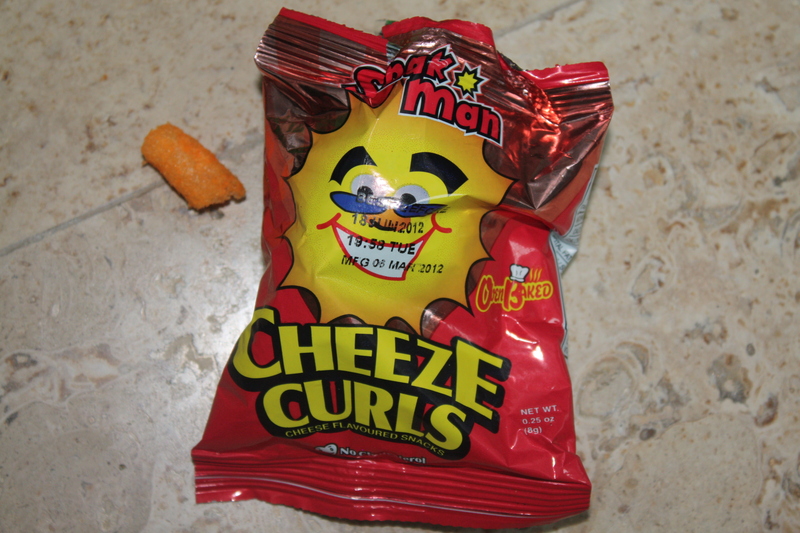 It was also hard to resist the clever Snack Man marketing. The enticing and friendly yellow face and foil red packaging was begging us to try. The curl were medium sized, cheesy and a perfect Puerto Rican sun snack.